Interested in playing a game of softball in Grand Rapids this winter? Gather a team for Snowball Softball at Huff Park in Grand Rapids in February, part of the Meijer State Games competition. No snow will be removed from the field, and “the elements will be what they are,” according to the entry form. This is just one of many creative, entertaining ways to partake in the Winter Games presented by the Meijer State Games of Michigan, taking place this winter. Another unusual and challenging event to experience is the Try-Athlon, to be held at the Muskegon Winter Sports Complex. Teams partake in three Winter Olympic sports – luge, ice speed skating, and cross-country skiing – and experience isn’t mandatory. Clinics are offered for those new to the sports, and serious competitors have their own heats. Age divisions range from nine and under to 60-plus and college teams. Separate awards are given to males and females. This creative endeavor exemplifies the mission of the Meijer State Games of Michigan: to encourage participation by athletes of all ages and skill levels in Olympic-style events. The philosophy is that everyone is welcome and everyone plays. Athletes from all corners of Michigan are expected to compete for medals awarded in all manner of competitions. Mainstream sports include bowling, darts, basketball, wrestling, karate, postal swimming (where entrants swim as far as they can in one hour), and more. 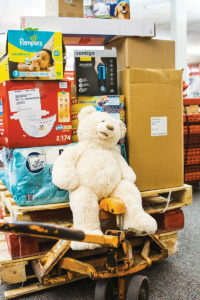 Events take place throughout the season at various locations from Muskegon to Kalamazoo and throughout Grand Rapids. There are snowboarding and skiing competitions, including Slope Style, Rail Jam, Big Air, Boardercross, Skiercross, Slalom, and Giant Slalom categories. Cross-country skiing events include Freestyle and Nordic competitions. These events are slated to be held at the Forbush Corner Cross-Country Ski facility in Frederic. The Speed Skating competition consists of three-person teams in five divisions from Beginner to Master, which is for those age 50 and beyond. Swimming – Postal Meet style – presents extensive opportunities for people of all ages and abilities to compete over several months. The adventurous can learn to curl at the Wings Event Center in Kalamazoo, hosted by the Kalamazoo Curling Club. A Virtual-Rowing competition allows individual athletes to race on their own rowing machines and verify results via monitors with automated verification codes. Those not interested in competing can volunteer for such things as meal deliveries and staffing the tournaments. The Meijer State Games of Michigan is truly a grassroots organization that relies on the dedication of thousands of volunteers and the support of corporate partners, according to their website. Certain competitions serve as qualifying events for the State Games of America. Athletes who place first, second, or third can go on to compete in Lynchburg, Virginia, next summer. The first Winter Games consisted of 12 different sports, in which 1,645 athletes participated. The State Games of Michigan also present Summer Games, which include numerous mainstream events as well as beach wrestling, pickleball, waterskiing, pinball, and many more. 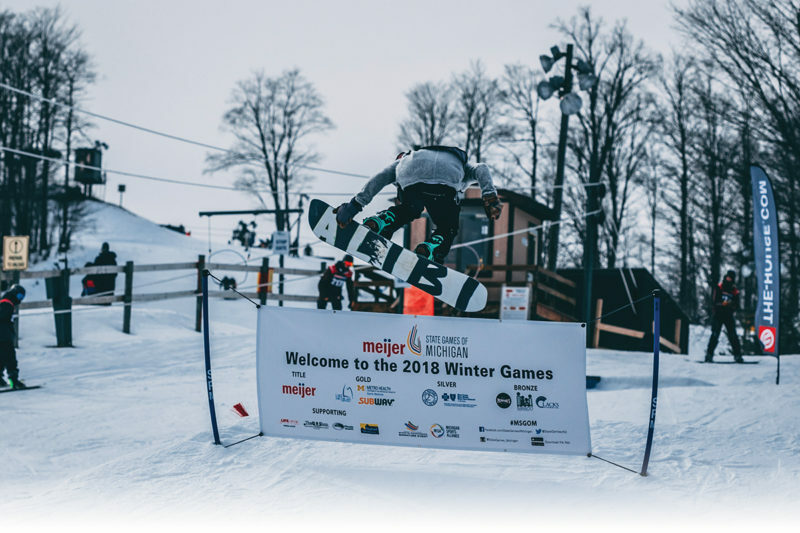 The Meijer State Games of Michigan are presented by the West Michigan Sports Commission, which is a nonprofit 501(c)(3) that works to identify, secure, and host a diverse level of youth and amateur sporting events to positively impact the economy and quality of life in the region. Since its inception in 2007, the WMSC has booked roughly 500 sporting events and tournaments that attracted over 650,000 athletes and visitors, generating $190 million-plus in direct visitor spending.